Scanning down the Guardian’s list of 100 greatest novels there aren’t many whose author or title are completely unfamiliar to me. 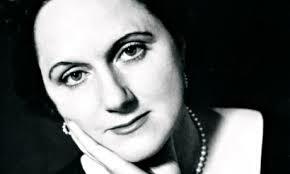 Of those, ‘Mrs Palfrey at The Claremont’ stands out because the author, Elizabeth Taylor, shares her name with such a Hollywood legend. Having now read a copy, I’m at a loss to know not only why I’d never heard of it, but why there isn’t a copy on every bookshelf in the land. Every now and then I stumble upon a novel so wondrous that I want to buy it for every book-lover I know. 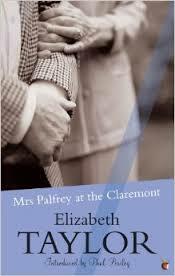 ‘Mrs Palfrey at the Claremont’ is such a book. It’s not a cheery read, dealing as it does with some of the more depressing aspects of aging, although it is incredibly funny. Mrs Palfrey is an elderly lady who moves into a London Hotel for the long term along with a few other elderly residents wealthy enough to afford a more desirable alternative to a residential care home. With her daughter living far away in Scotland, she is disappointed with her inattentive grandson, her only relative living in London, and striking upon a chance friendship with a young impoverished writer called Ludo, deceives the fellow residents that he is in fact the grandson of whom they have heard but not seen. Mrs Post, in her sad pot-pourri colours, fussing over her knitting. She inflicted herself on old friends, and went to the theatre. ‘It is three thousand days ago today that my wife died,’ Mr Osmond said, to no one in particular. The story is touching yet unsentimental, elegantly written and brimming with wry humour. Despite the privileged position of the hotel’s inhabitants, their wealth does not grant them immunity from grief, the endless slowing of time, reduced physical capacity and the corrosive loneliness. Maybe we avoid books about age because we don’t want to face the cold bleak truth of what our futures will look like. ‘Mrs Palfrey at the Claremont’ doesn’t rose tint old age, but if you can bear to take a deep breath and shoulder the grimness, it’ll reward you with a beautifully observed relationship that spans generations, a critique of the stretched oft-resented obligations of family, all accompanied by lashings of incredibly dark humour. Worrying is futile, and you never know, you might just get run over by a bus and avoid it completely. Really looking forward to reading this, I too had never heard about it before. We had a family friend who lived in a genteel hotel on Worthing seafront, when we visited she used to lament the fact she couldn’t boil eggs for herself late at night, but it was still better than a home. At easily £600 a week for a basic home if you don’t need nursing care, I’d rather live in a hotel, too! Me too! Although one of the strengths of the book was that even these elderly residents fortunate enough to afford to stay there were not immune from the loneliness and sense that they were now just waiting to die. I saw the BBC ‘Play For Today’ (1973) screen adaptation of this book, starring Celia Johnson as Mrs. Palfrey. I found it very sad, even though I was much younger when I saw it. I think if I watched it again, the tissues would be out. It is, sadly, a true reflection of how some elderly people become isolated. The book was written before the advent of U3A! Pardon the plug! I heard of this E.T. for the first time when I saw that Guardian list – and then immediately after reading your post logged onto Twitter and at the top of my newsfeed found a link to this article on her. Maybe the universe is telling me something! I ‘ve never heard of this book. Or heard of any adaptation, film or play or reference to it before. Thank you for bringing it into the light. I’ll have to keep it in mind. I do wonder whether it’s the curse of the author sharing her name with someone so very famous and talented but whose name you wouldn’t associate with a work of great literary fiction. That stuff kind of sticks! I agree! I’m not likely to forget the author’s name even if I forget the title! Why should Edith Wharton have all the fun? The way you talked about just draws me in. Definitely going to read this!